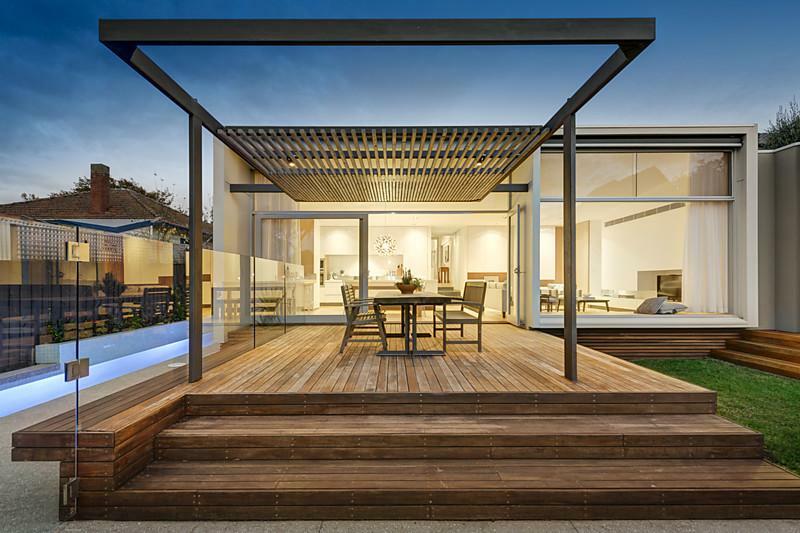 This project replaced a series of cluttered and dysfunctional rooms with light spaces that open to the rear garden and lap pool. A large veneered pivot door provides subtle access through to the study and garage. 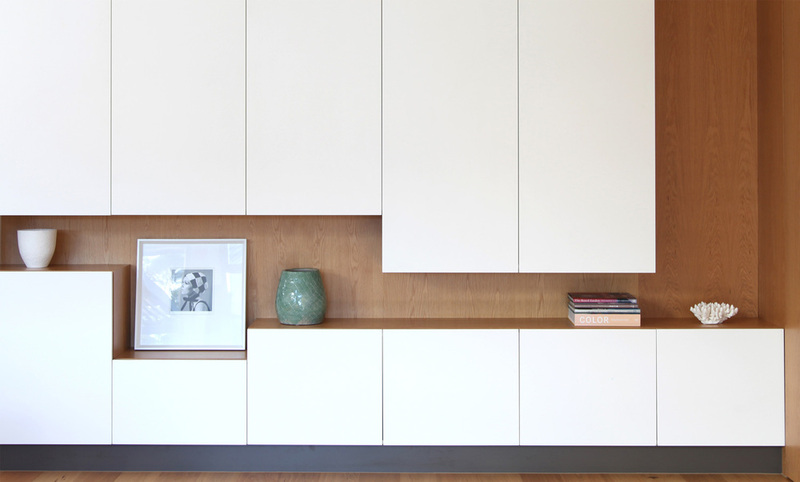 A focus of the brief was to house the client’s collection of objects that was subsequently accommodated in a series of interesting niches and a display cabinetry.